SHADOWING THE SUN is a book about a young girl’s enduring love for her father. We meet Sylvie as an adult on the cusp of settling down, but restless and finding it difficult to commit to fiancé Jack. She is also preparing to meet her father again after years apart, unable to move on from the events of one summer she spent with him in his commune just outside Florence when she was 12 years old. 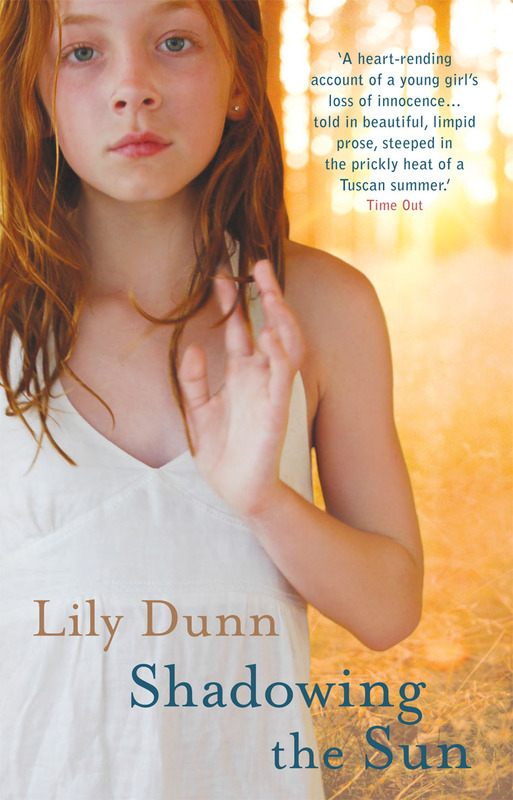 In deft and compelling prose, Lily Dunn tells the parallel stories of Sylvie’s present and past – the anxious week in London waiting for her father, and the summer in Italy that started so promisingly, but ended with such betrayal and loss of innocence. ‘A funny, harrowing and ultimately heartbreaking glimpse into the tribes of a lost continent: the children of the Seventies ‘Me’ generation, with their inheritance of wild freedom and poisonous neglect. I both laughed and cried. Seen through the cut-glass mosaic of Lily’s sharp perceptive talent, the book becomes something new: not just a recollection but a gift, to the past and to us. Full of a hard won, lonely kind of gratitude.’ Tim Guest, author of My Life in Orange. ‘A heart-rending account of a young girl’s loss of innocence… told in limpid prose, seeped in the prickly heat of a Tuscan summer.’ Time Out. ‘The sins of the father are mercilessly explored in Lily Dunn’s impressive and confident first novel.’ The Sunday Times. Lily has recently finished TOWARDS THE PEBBLED SHORE, her second novel.